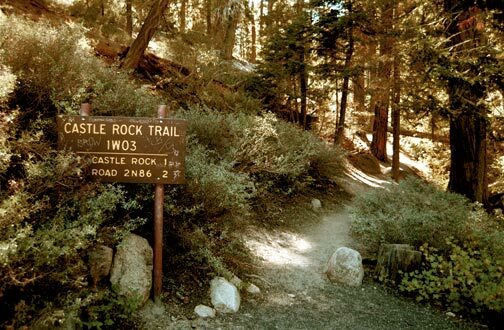 Castle Rock is a prominent natural landmark that is visible from most parts of Big Bear valley. Rising up out of the mountain at the south/west end of the lake, it stands like a sentinel keeping watch over all of Big Bear lake. The views from atop Castle Rock are incredible. There are two trail heads to Castle Rock. 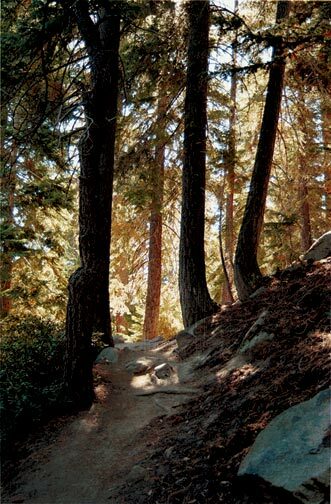 The first is a easy .8 mile walk that begins at USFS Road 2N86 near the junction of USFS 2N10. The second trail begins about one mile east of the dam off Highway 18 on the south side of the lake. It’s about a one mile hike with a gain in elevation of about 500 foot. The trail off of Hwy 18 is my favorite because it is the most scenic. Which ever you trail you choose, Castle Rock is a fairly short enjoyable hike. There is a lot of folklore and legend surrounding Castle Rock from a time before Big Bear was known as Big Bear. For a thousand years or more before the gold rush started, the Serrano Indians lived here. 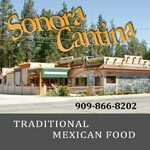 The Serrano name for Big Bear was Yuhaviat which means “pine place.” There is an Indian legend about Castle Rock that tells of a beautiful young girl named Wyhnemah who once lived in Big Bear Valley back when it was known as Yuhaviat. As the story goes, at that time all the young men of the tribe wanted Wyhnemah, and would constantly compete with each other for her attention. But she only cared about one brave by the name of Pahwak. He was a hunter, and would sometimes leave on hunting trips to get food for the rest of the tribe. 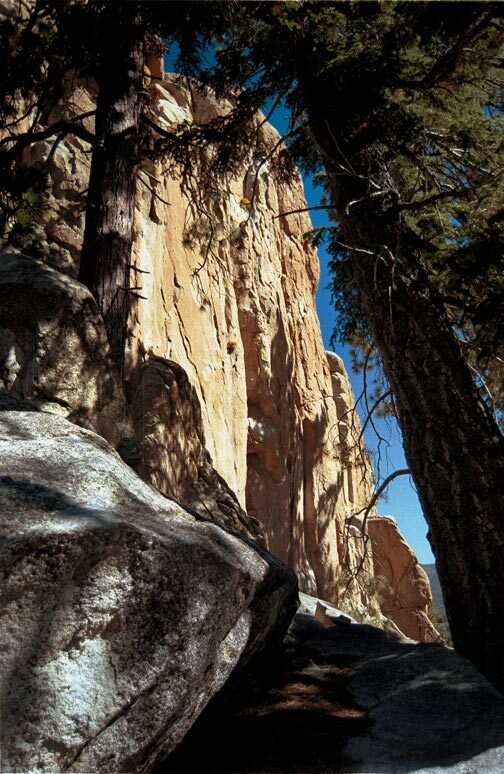 Whenever he was gone, Wyhnemah would climb to the top of Castle Rock each day, and watch for Pahwaks return. Whenever she saw him off in the distance returning home, she would climb down and rush off to meet him. On one such hunting trip Pahwek didn’t return when he was supposed to, and as the days went by Whnemah began to worry. As the weeks went by without Pahweks return, Whnemah knew that something was terribly wrong, and eventually realized that he would never be coming back. Not wanting to live her life without her true love, Whnemah climbed to the top of Castle Rock one evening, and stepped off the edge to join Pahwek forever in the happy hunting ground. Is this a true story? Who knows? If any evidence ever existed, it has been lost in time. Today, the Castle Rock legend is a romantic tale that has become an enduring part of our Big Bear history. 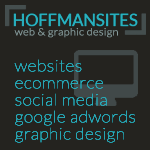 So, why am I telling you this? Well each year hundreds of hikers climb up the Castle Rock trail to enjoy the pristine wilderness, and commune with nature. Occasionally someone will claim that while enjoying natures quiet solitude, they often unexpectedly turn and glance over there shoulder, unable to shake the feeling that they’re not alone. They insist that that the spirits of Whnemah and Pahwek are still around, and that Castle Rock itself is haunted. I have hiked up to Castle Rock many times, but I must be paranormally challenged, because unfortunately I have not had any personal experiences with spirits on any of those hikes . 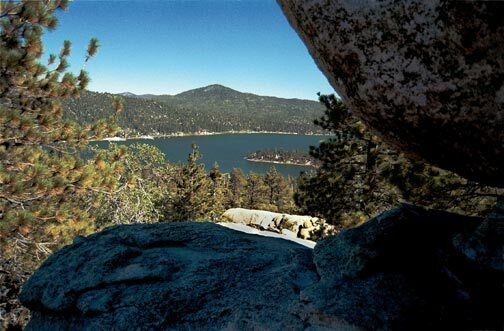 However it doesn’t really matter because, I believe that putting up with an occasional spirit or two is well worth the spectacular views of Big Bear Lake that Castle Rock has to offer. So have fun. 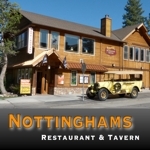 For a more information on Big Bear’s fascinating history, visit the Big Bear History Site.Com or go to the Channel-6 website program guide. 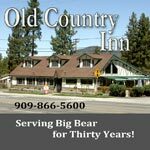 Here you will find the dates and times for the various historical episodes on Channel-6’s Big Bear History Show. 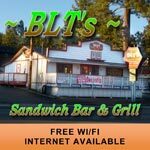 If you plan on visiting Big Bear Lake, check out Big Bear Cabins and Coupons .Com. 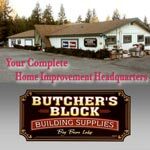 “Cabins and Coupons” has downloadable discount coupons for Dining Out and Shopping with Big Bear merchants. They also have lodges & privately owned cabins for rent of every size and flavor if your looking for a place to stay. The Cabins 4 Less listing has cozy cottages located all over Big Bear.